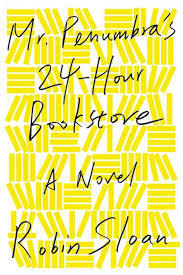 I heard about Catching Fire on NPR and thought the premise intriguing, so while on vacation I picked it up. This book is full of fascinating ideas and the central tenet promises to shake up the current picture of human evolution quite a bit. 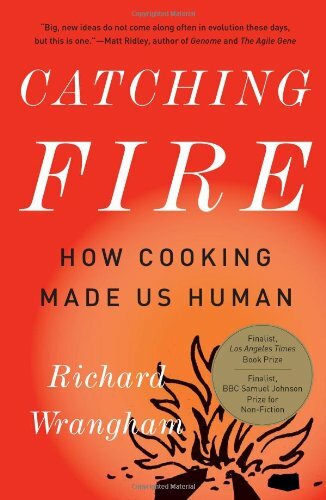 In Catching Fire, Richard Wrangham argues that the invention and adoption of cooking by our pre-homo sapien ancestors is a, if not the, key reason for our evolution into homo sapien. Cooking is an easy way of processing food such that our bodies can more easily digest it, and thus not spend nearly so much energy. That energy, instead, is redirected to our brains. That is, cooking freed our body from using energy for digestion and was able to use that energy to power our brains which could thus evolve into what they are today. 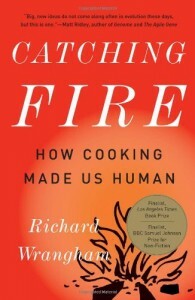 Much of Catching Fire offers various arguments to support this thesis, from the fact that raw diets result in drastic weight loss as the energy from the food cannot be extracted efficiently by the body; to evidence that processing food, even simply adding air to puff it up, makes it easier to digest; to the fact that in many cultures, cooking and sharing meals is a much more important sign of bonding between men and women than sexual relationships. In addition to offering a new view of human evolution, Wrangham also points out some secondary effects that should resonate with our modern society. First, the more foods are processed, the more easily our body can extract calories from them. This, Wrangham speculates, is a key reason for the obesity epidemic: our foods are so processed that our bodies are getting way too much out of them. Second, cooking has lead to a nearly universal subservient role for women. In almost all cultures, women are tied to the kitchen, the cooking fire, the pit, and their lives are strongly centered on that role. I’m still trying to figure out what the implications of the processed food argument are for my own life. For example, is it better for me to get that steak medium rare or well done? If well done, I will get more energy out of it, presumably giving me more energy myself and helping me feel overall more energetic. But, it also means it’s likely to add to my beer gut more than the medium rare steak, which my body will have to spend more work digesting. Not sure which is overall better. It is interesting that, in the end, it doesn’t seem to matter if the diet contains meat or is vegetarian, but more important if it involves cooked or raw food. Wrangham argues that our bodies have evolved to essentially need cooked food; they aren’t designed to process raw food. Our brains are too expensive, energetically, to be able to function on a raw food diet. I felt that the book dragged on in places, with Wrangham padding his argument a bit more than he needed and sometimes offering evidence that was tenuous at best, but overall I thought that his ideas were fascinating. I certainly learned quite a lot, both about humans as a species and about how I might want to approach my own diet. 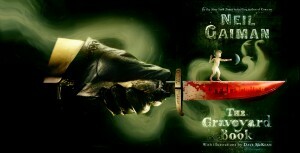 I certainly recommend Catching Fire.